If you are new to the sport of adventure hiking, you’ve got a little work ahead of you to prepare for long treks and potential routes. The research is a lot of fun and can get you excited about your upcoming adventures. 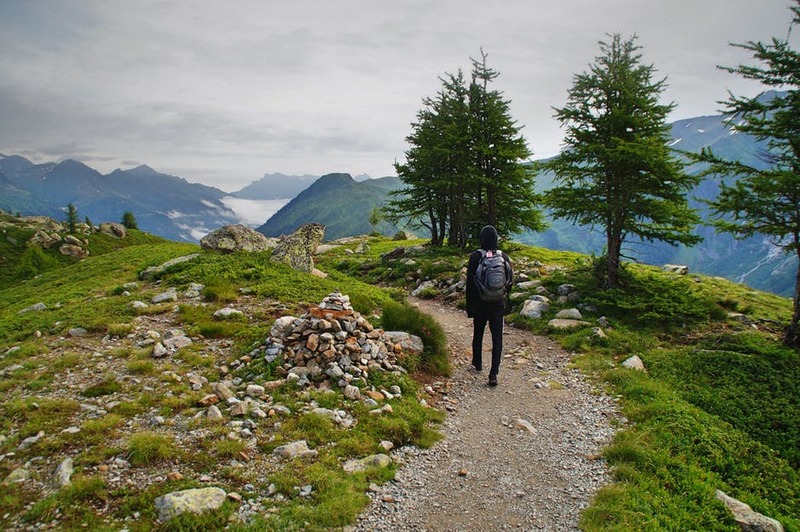 In considering what you need to prepare in order to head out on an adventure hike for the first time, we wanted to share some hiking trails that are good for beginners doing multi-day hikes for the first time. It can be overwhelming to think about having to carry everything you need on your back so you can make your hike, but having a plan makes it so much easier to execute an excellent adventure hike. Here are several trails that are good for first time multi-day hikers. When considering a multi-day hike for the first time, you want to keep it short. A hike of about 2-5 days is enough to get your feet wet and to help you decide if this lifestyle is something you want to pursue further. In making the trek from Tuolumne Meadows to Yosemite Valley, backpackers can expect to make the almost 30-mile trek in less than five days depending on how fast they travel. This 20-mile hike takes less than four days, even if you are going slowly. There is a lot of uneven terrain and even some rock climbing that needs to be done to make this trek, so check out Climb Fit for the latest in climbing footwear to help you navigate this trail with ease. Making the trip from Lake Ozette to Rialto Beach and offers hikers a variety of woods and shoreline hiking. Located in Washington State, this trail offers a rainforest like ecosystem, so be sure to plan for the weather, and you’ll be comfortable along the way. Located in Utah, this longer hiking trip can be divided into shorter, more manageable treks spanning 3-12+ days. Because the trail actually loops around in several areas, hikers and backpackers could spend days just wandering around in the “maze” walking over 80 miles or more if they wanted to. This trail will require some planning so you don’t get stuck out there longer than you would like. You won’t want to make this hike alone, as it needs an expert’s eye to navigate the winding pathways, but it’s not impossible for a beginner to put the maze behind them as a novice. Whether you want to spend a night in the wilderness while hiking or you want to spend 30 nights, a little planning is all that is needed to make this dream a reality. Get yourself the proper gear, do your homework and talk to knowledgeable backpackers, and make a plan to head out and achieve that goal. It’s a great way to see the world and experience nature at its best.